Sometimes Chrome fails to load the website you are trying to visit due to some connection problems or security reasons. It will display an error message: "This site can't be reached". Chrome will suggest you to try some quick fixes, but none of them actually works. Before I tell you how to fix this error, let's first discuss why this error occurs. 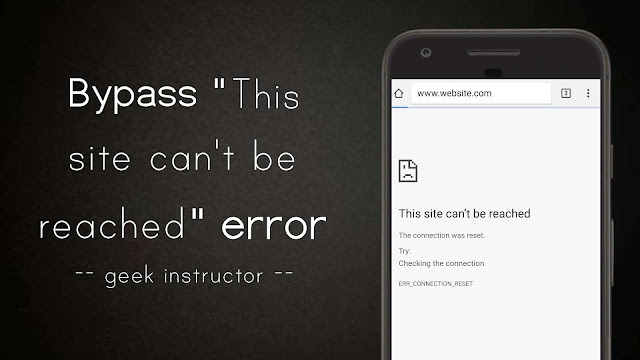 There could be two possible reasons behind this error: Either there is some Internet connection problem on your device or the site you are trying to visit is currently unreachable due to some server-side problems. If you are not able to access other websites as well, that clearly means your internet connection is not working. We are not going to teach you here how to fix your internet connection as there are so many tutorials available on this topic. If you are facing this issue with a specific website, we will guide you how to bypass this error and get instant access to the website. When a lot of browsing data such as cache files, cookies, history, app data etc., is stored in the memory, it prevents the browser from loading the website. Sometimes, cookies conflict may also cause "This site can't be reached" error. To delete browsing data on desktop Google Chrome, simply go to Settings → Show advanced settings → Clear browsing data under Privacy section. Now choose a time period in which you want to delete the browsing data and tick mark all items. Finally, tap "Clear browsing data" button. That's it. 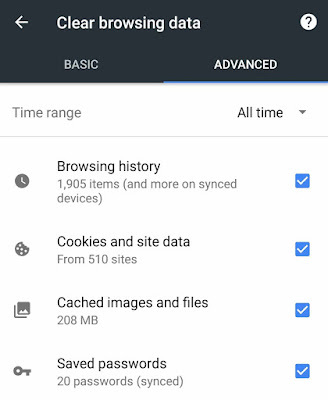 If you're on a smartphone, first open Google Chrome app, tap the menu (three dots) and then go to History → Clear browsing data. Alternatively, you can clear the whole app data from application settings on your phone. Another way to fix this issue is to use Incognito mode in your browser which uses fresh cache and cookies to load the website. If it doesn't work, try to reload the webpage multiple times. Sometimes, the site is down due to some server-related problems and until it is fixed, there is no way you can access the live version of the website. However, you can access Google's cached version of the webpage anytime. First, go to Google homepage. At the top of the page, you can see when the webpage was crawled by Google last time. You can also view text-only version and source code of the webpage. This is an evergreen method which will definitely work. = So that's how you can bypass "This site can't be reached" error in Google Chrome or any other browser. We hope you find this guide helpful. If you are facing any problem, feel free to share it in the comment section.